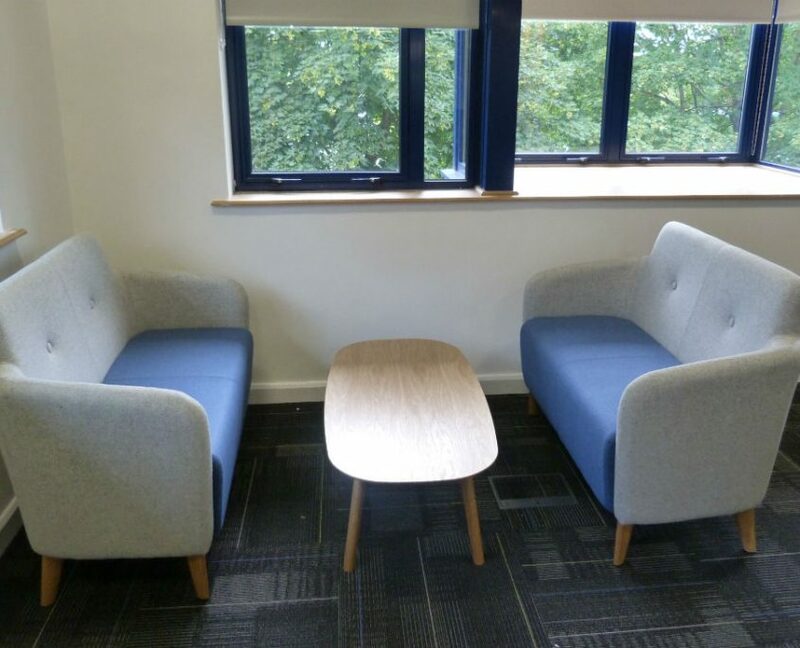 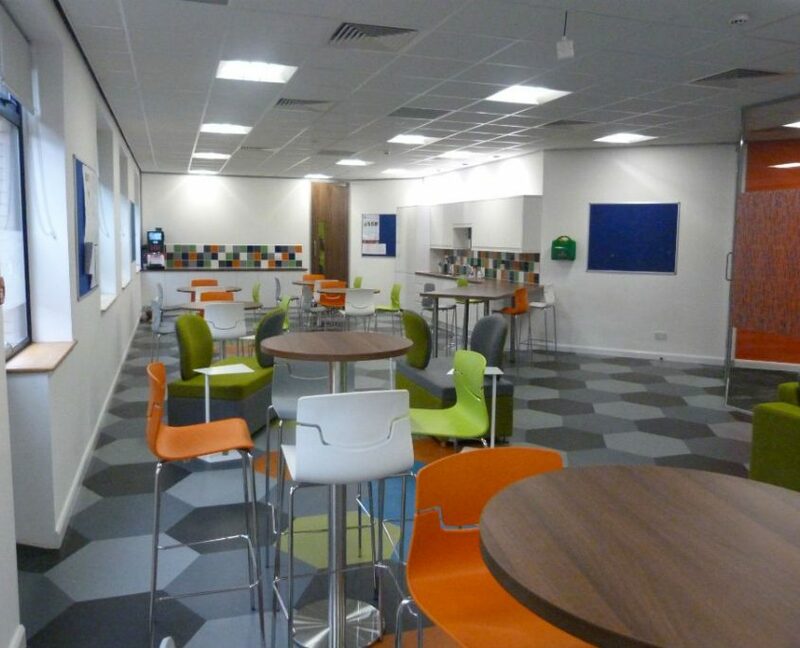 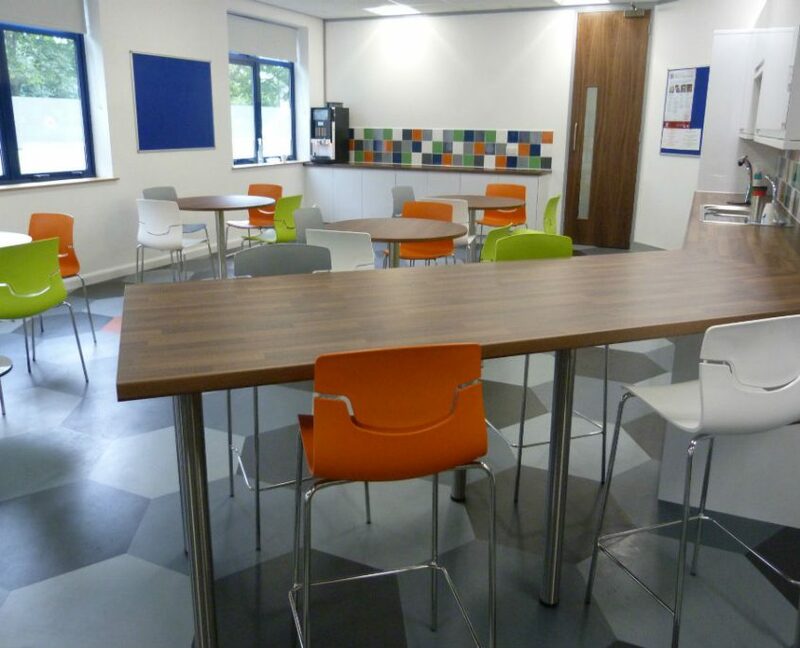 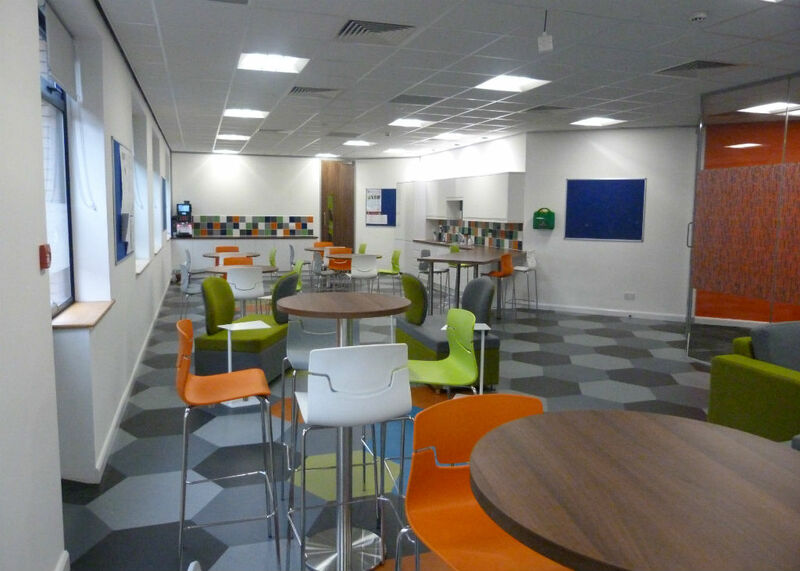 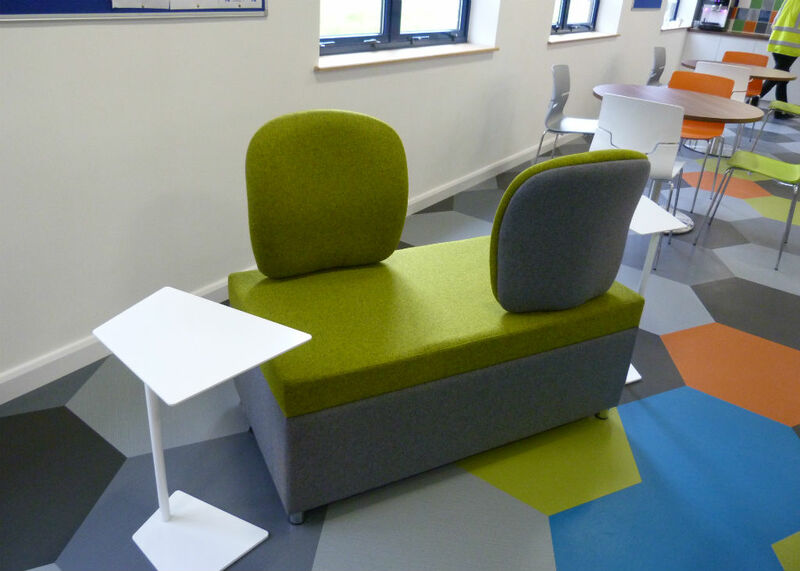 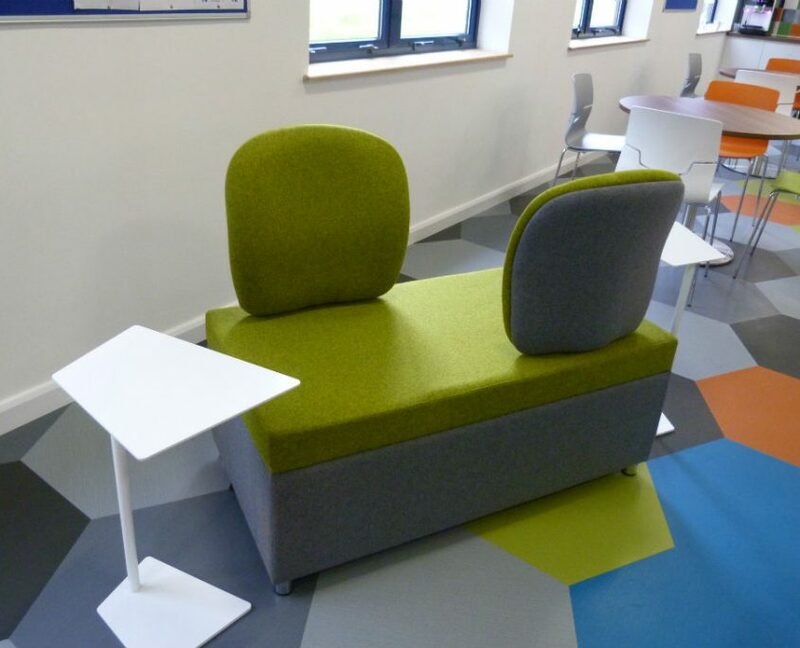 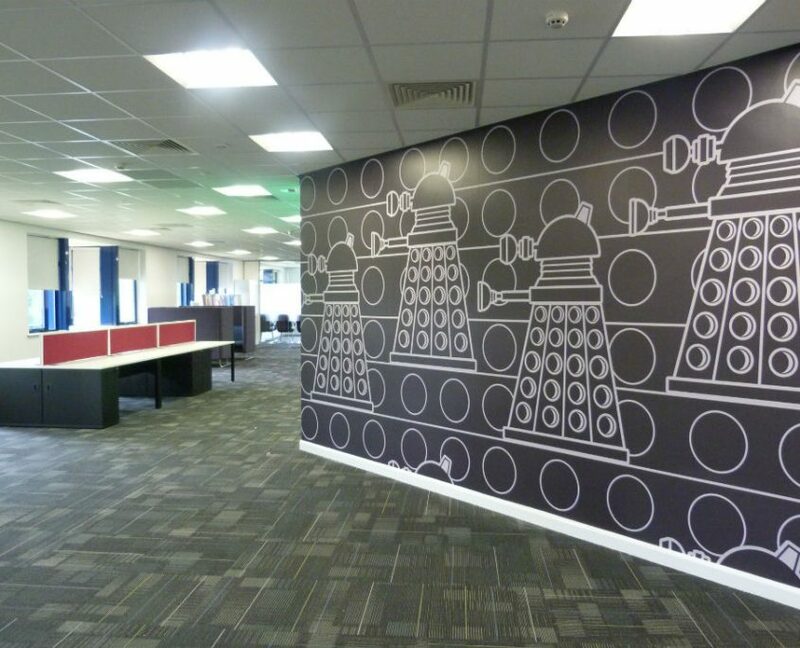 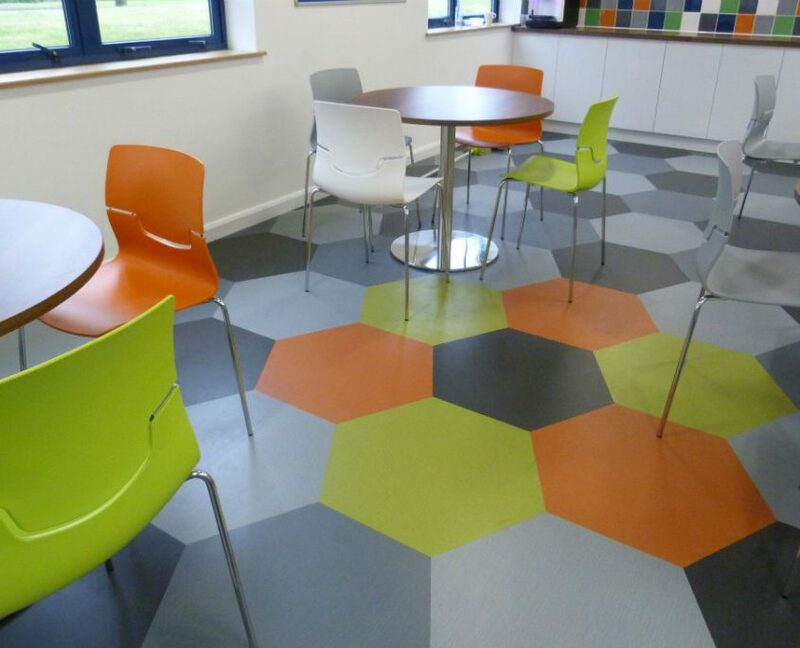 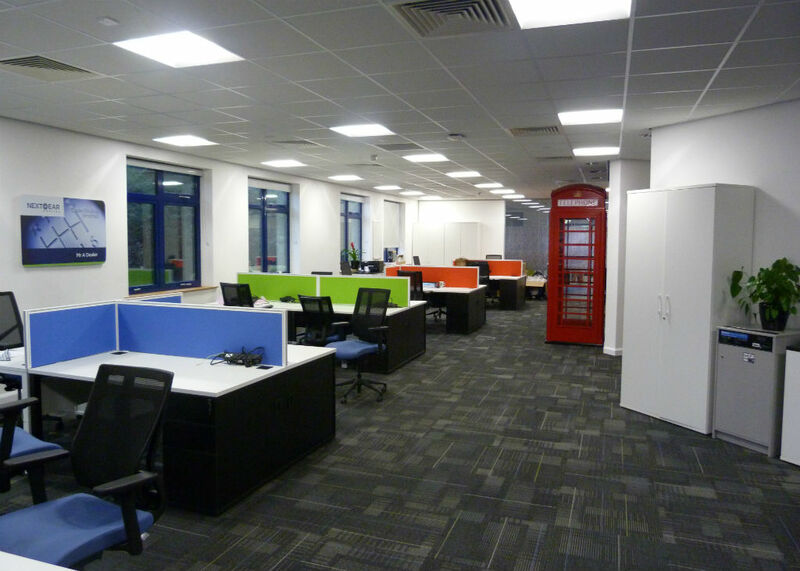 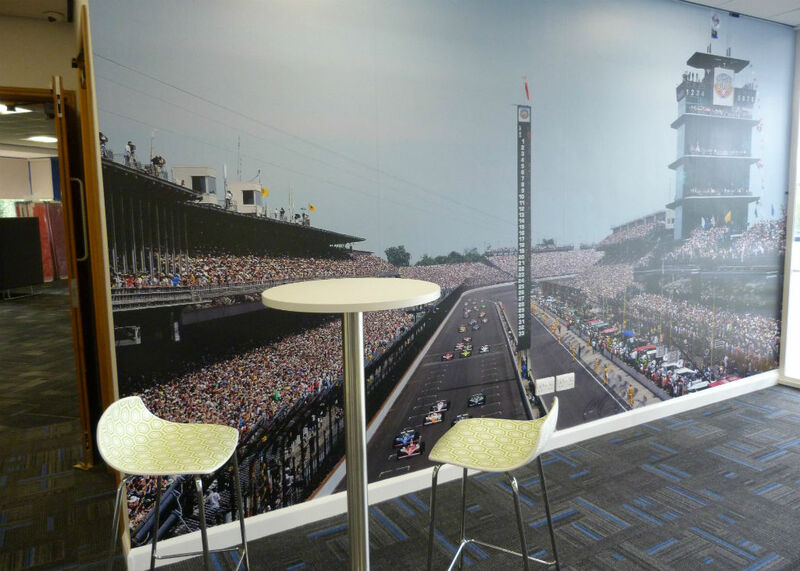 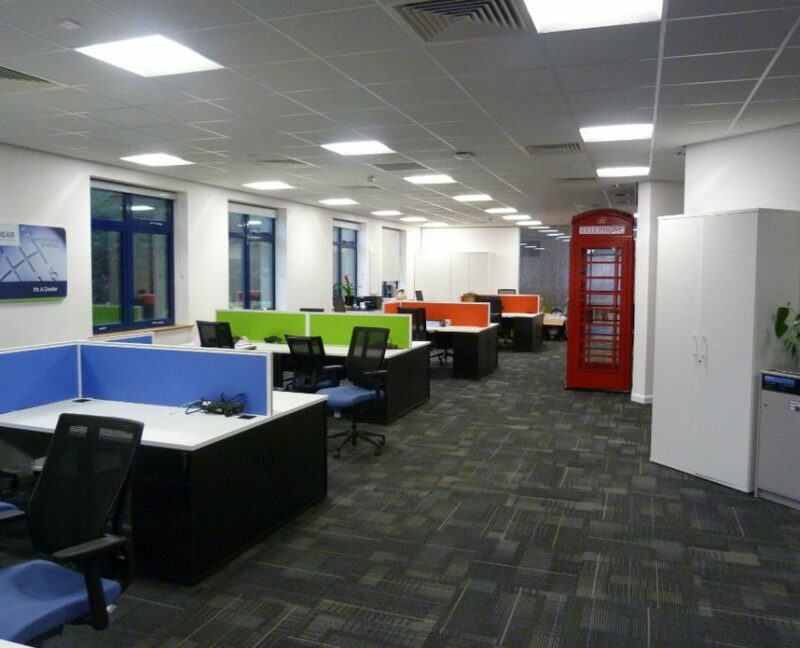 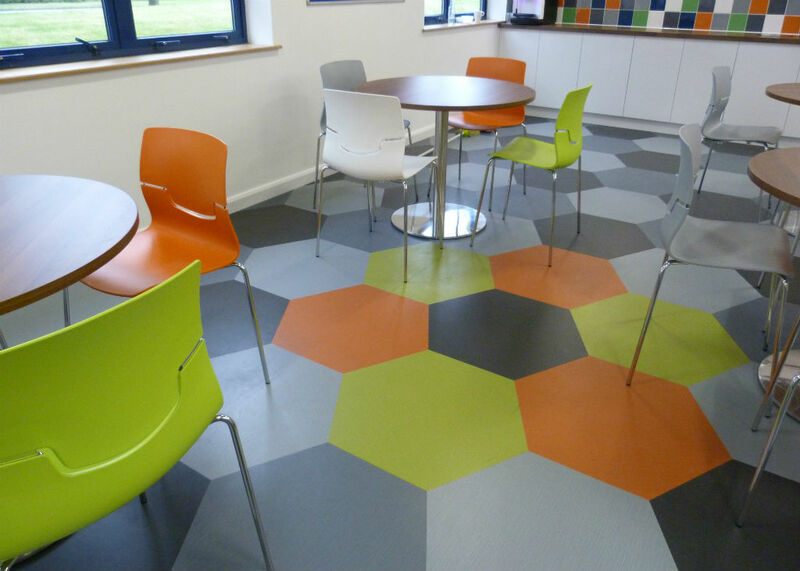 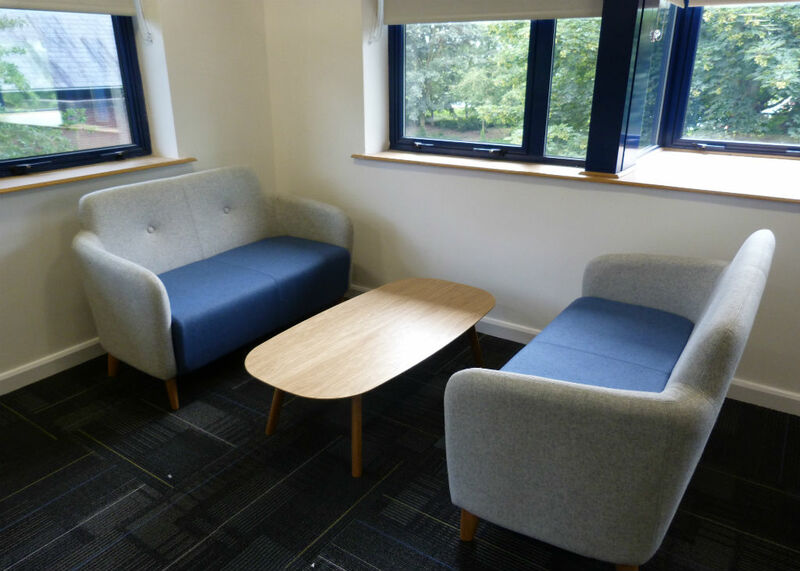 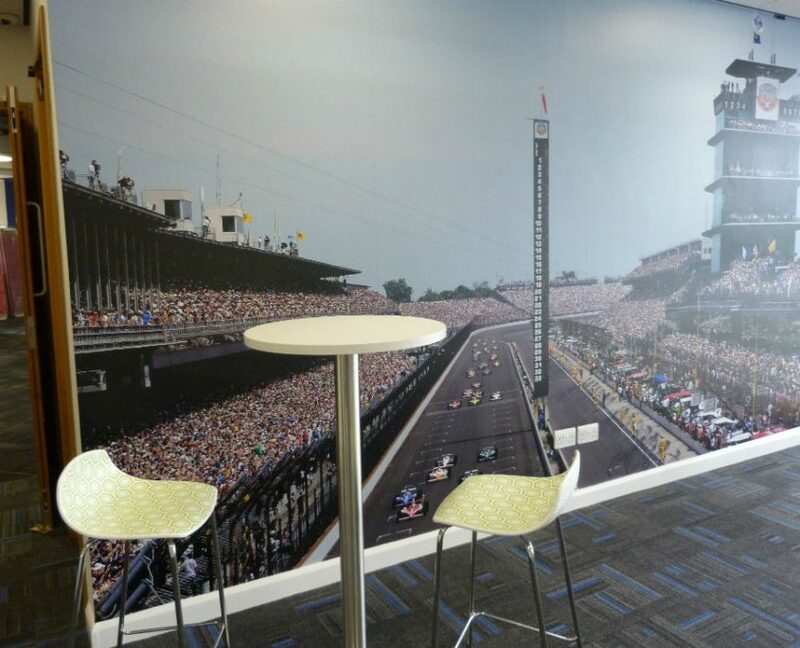 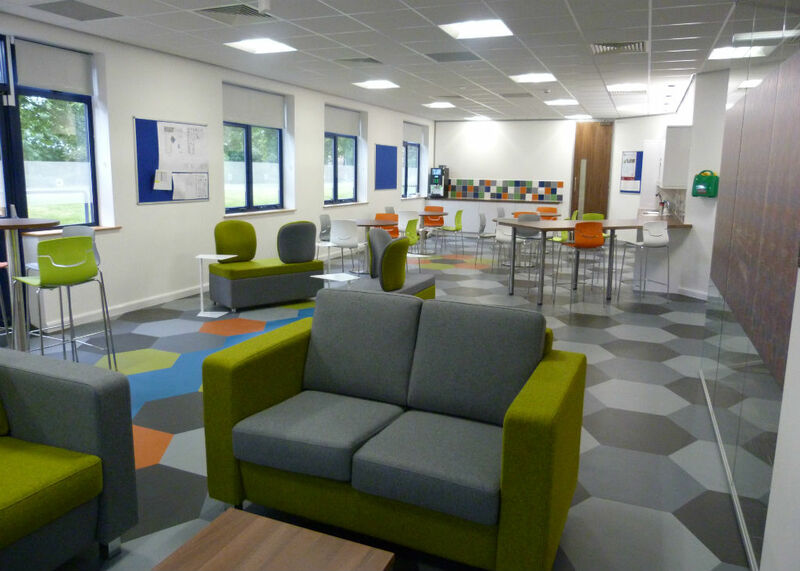 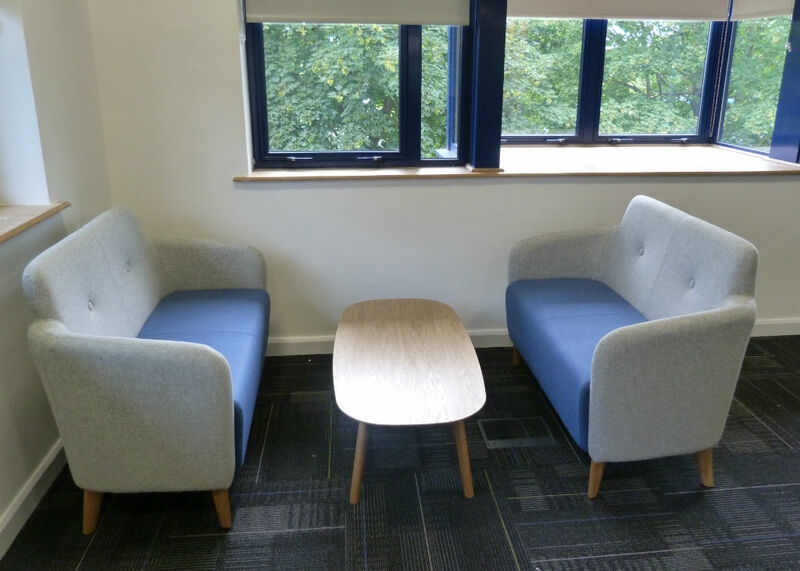 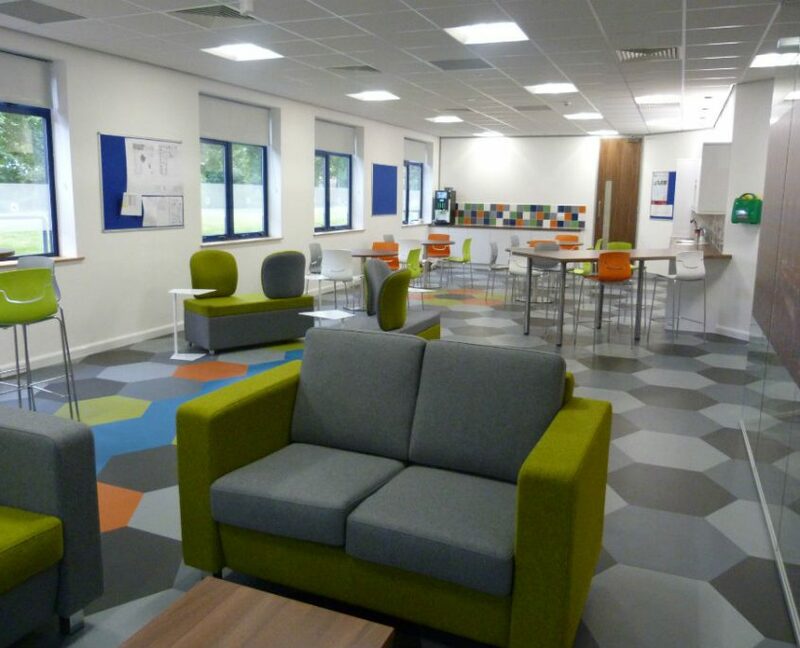 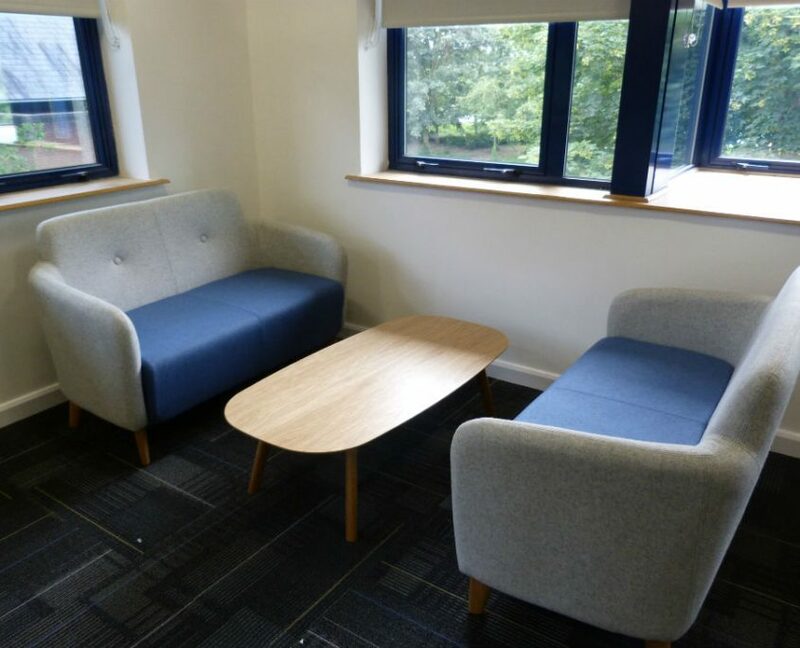 When Nextgear had outgrew their current office and decided to move to a larger premises across the road, they asked for our help to create a ‘funky’ office environment. 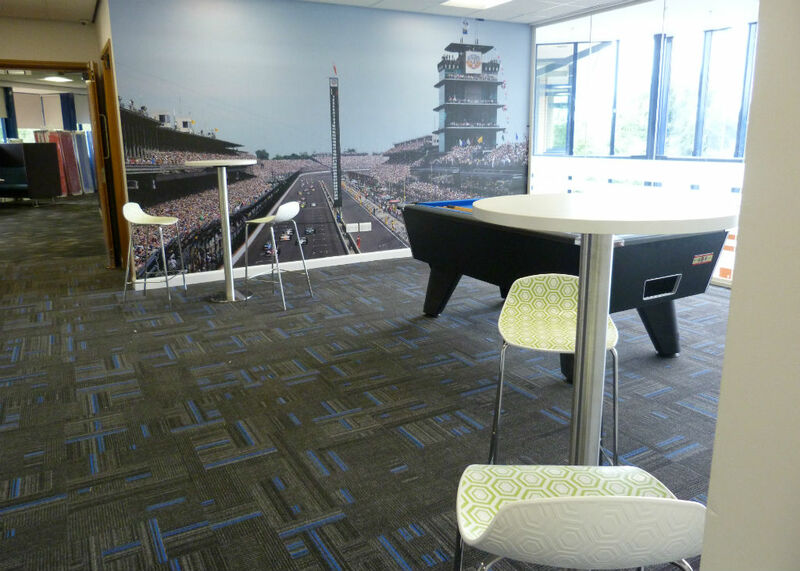 Bev worked alongside Inge and Patty who came over from Next Gear’s America office, to find fabrics and finishes that would work best for them. 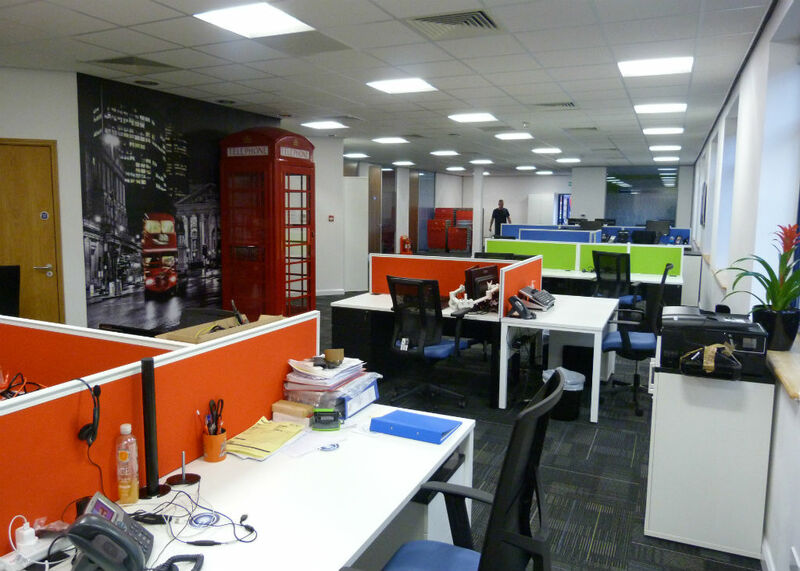 We added to the Pure desks that they already had, with white tops and black frames, but instead we used different coloured desk top screens for various teams. 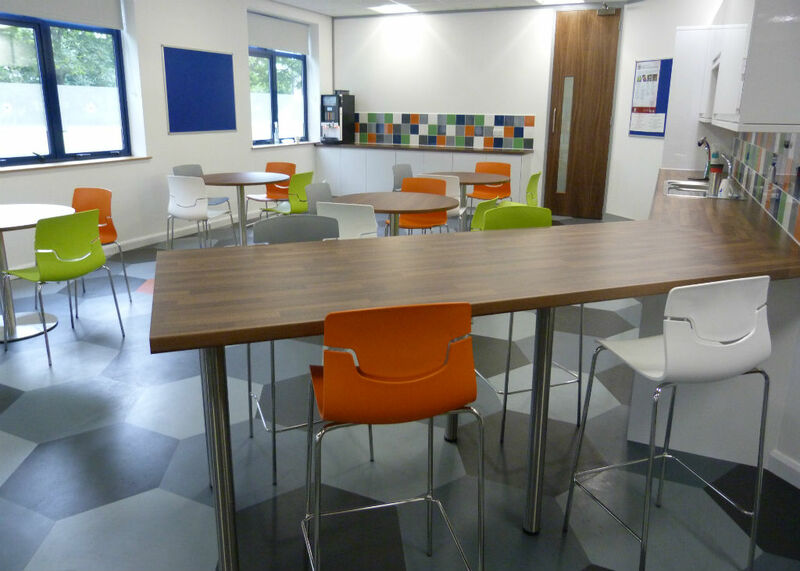 Slot chairs and stools were used in the dining area, alongside walnut top poseur tables. 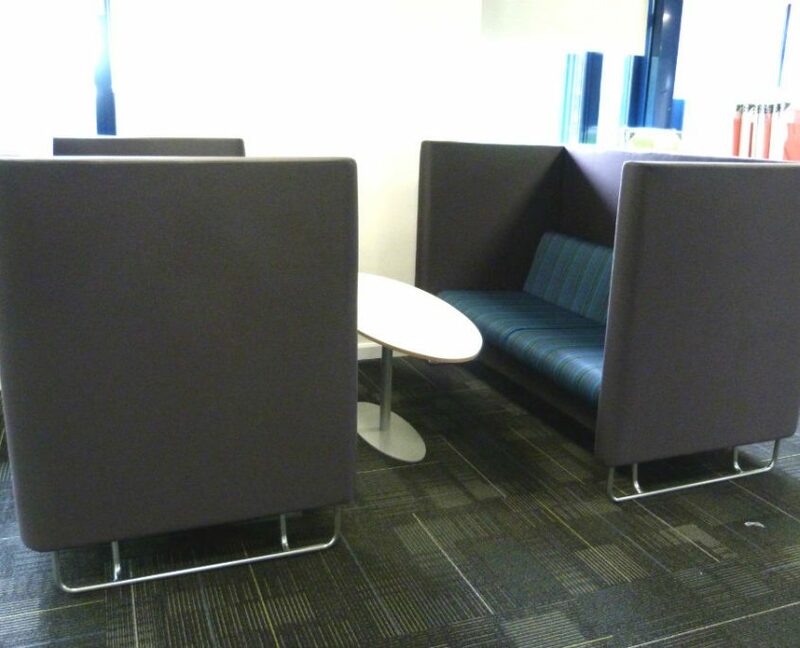 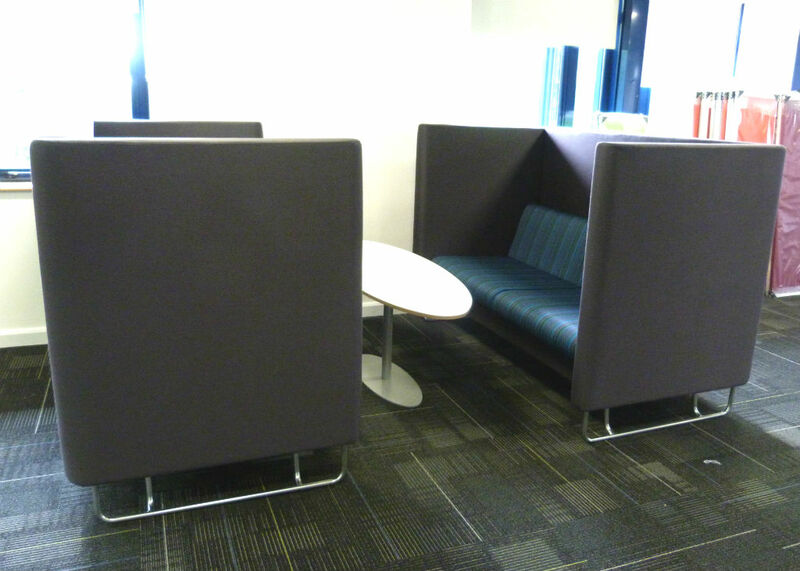 We also added a couple of ‘Love Seats’ with iTable laptop tables and Sapphire sofas in contrasting blazer fabrics. 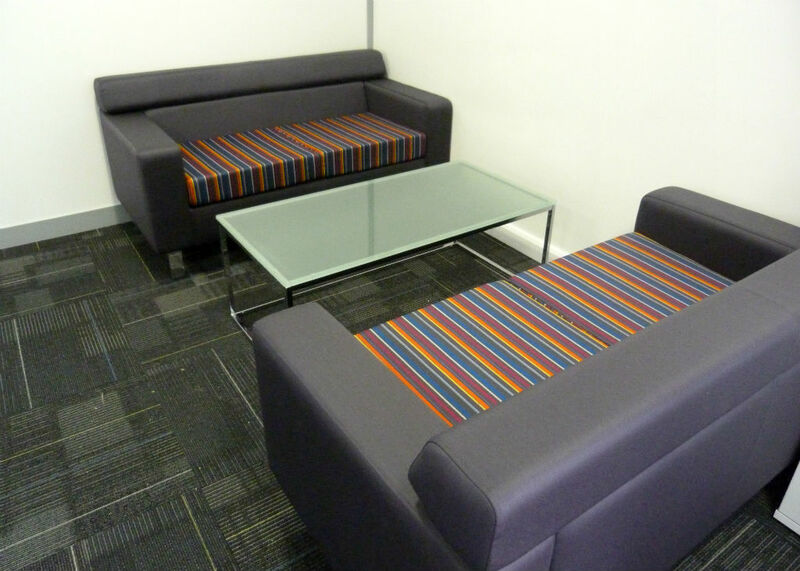 The Harc sofa and coffee table, were used in the reception and breakout areas. 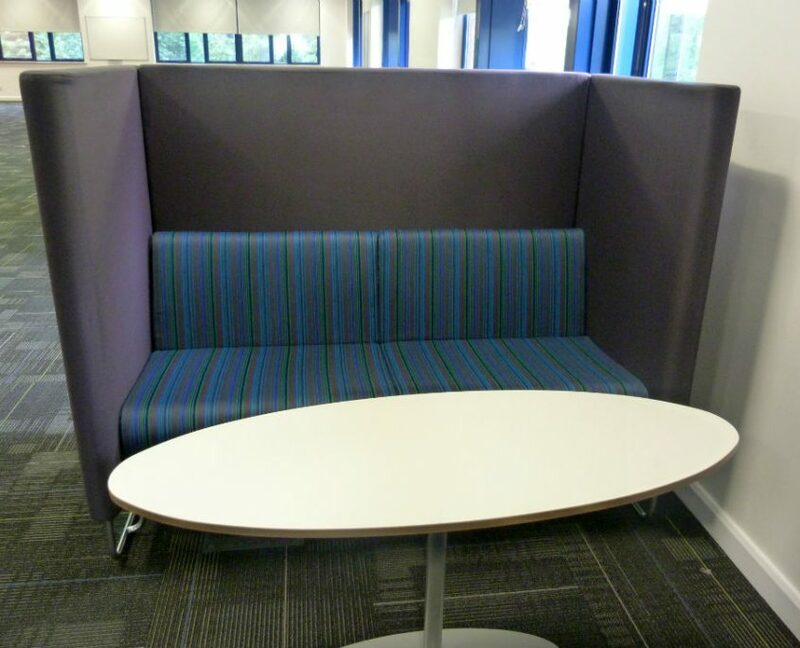 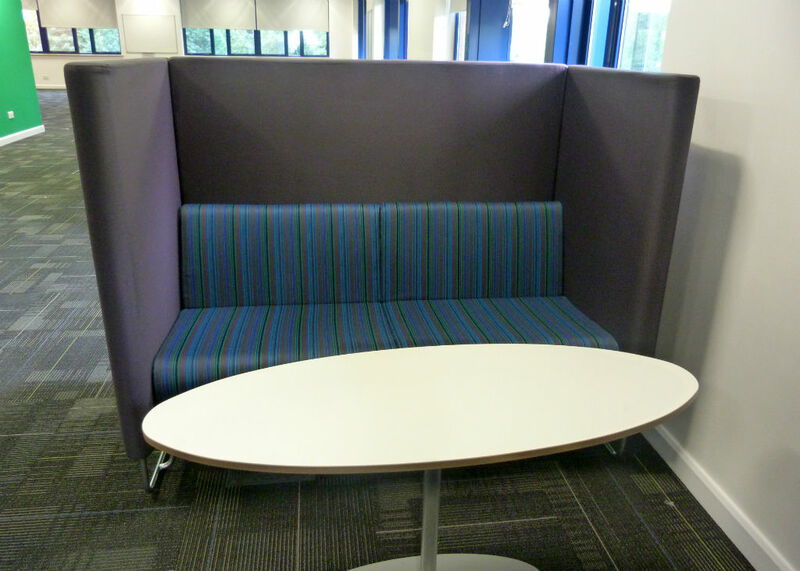 Additionally, Eden high back booth striped seating made the meeting area really come to life. 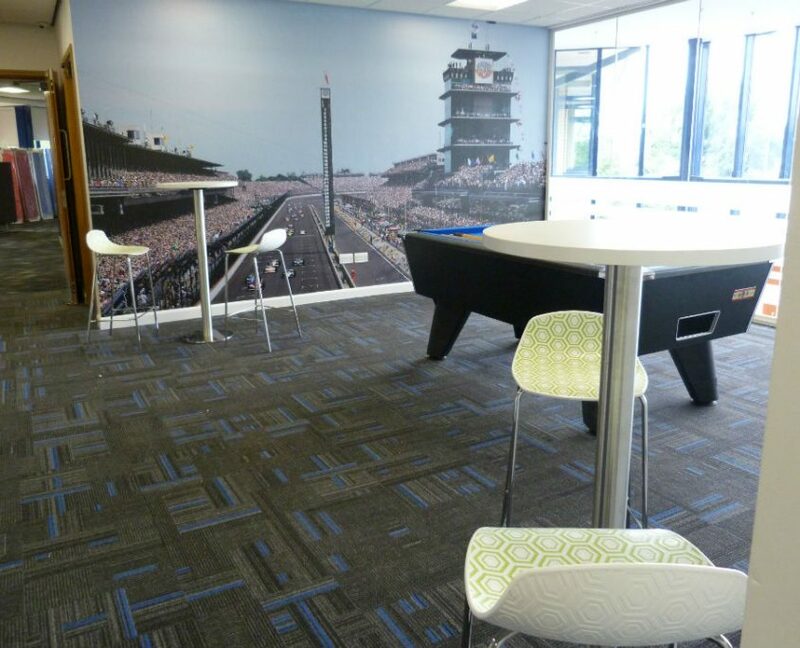 Alhambra stools and poseur tables were placed by the pool table. 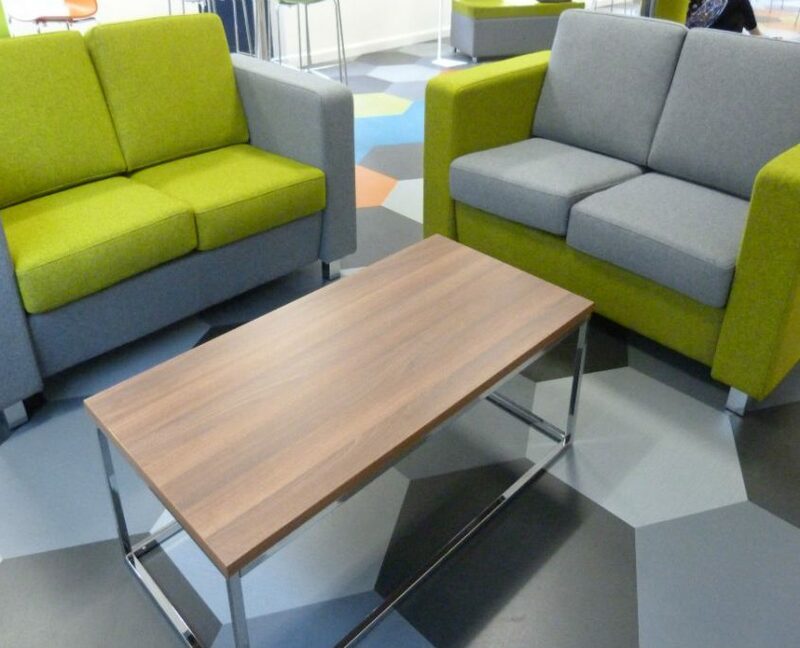 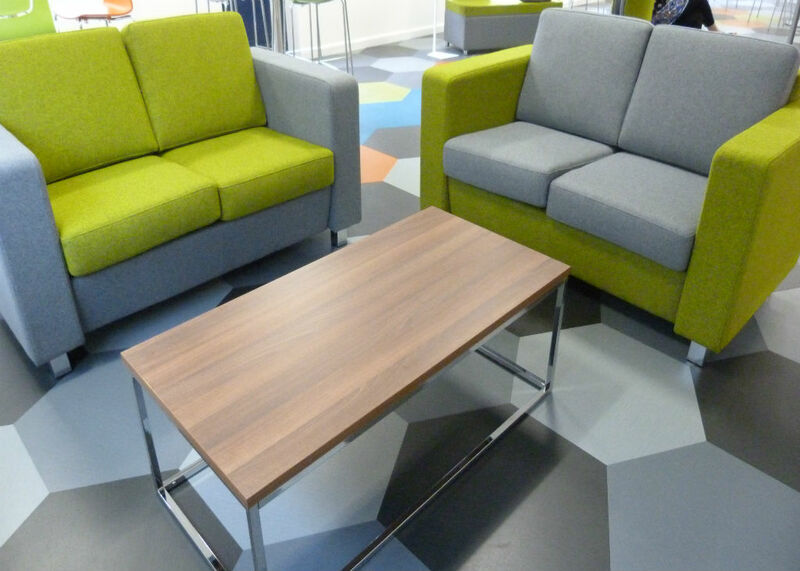 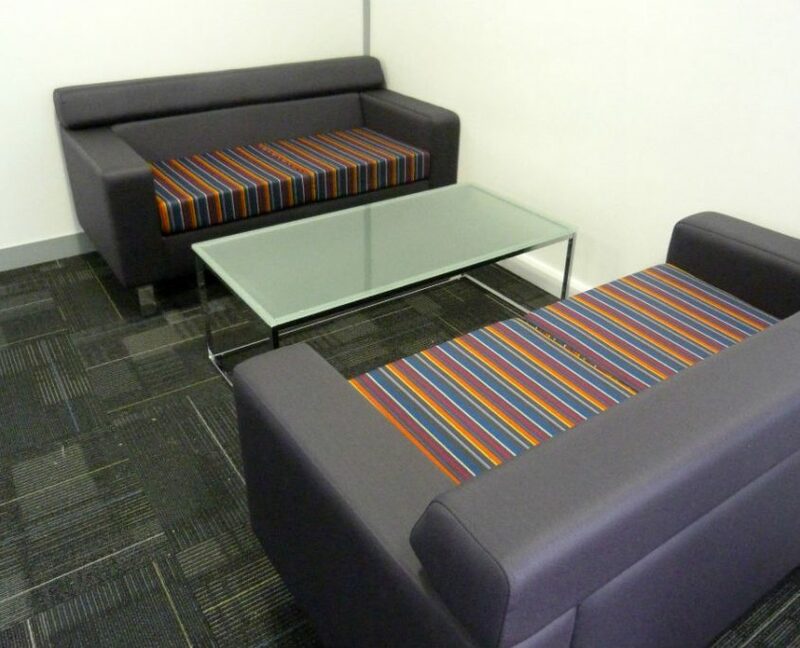 Striped Moonstone sofas and glass coffee tables looked great in the other breakout areas for the NextGear team. 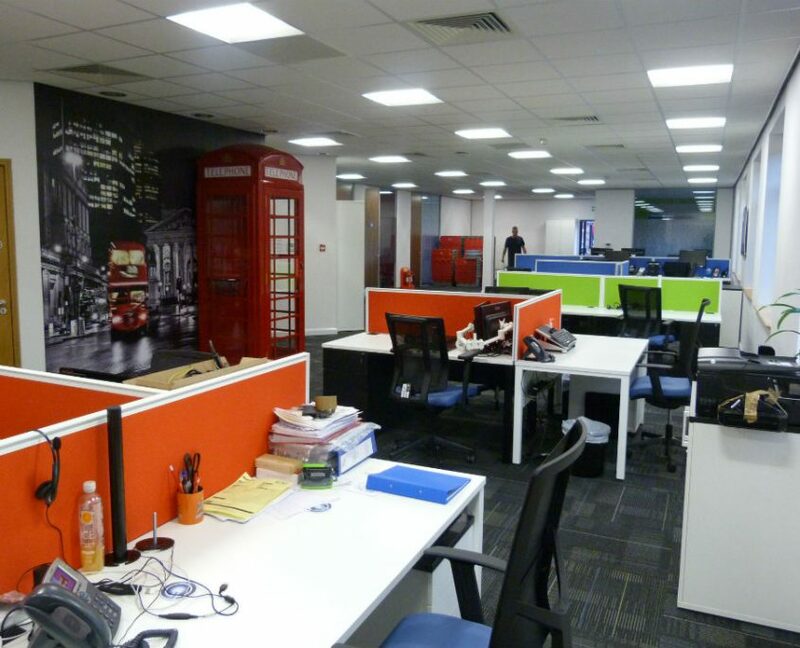 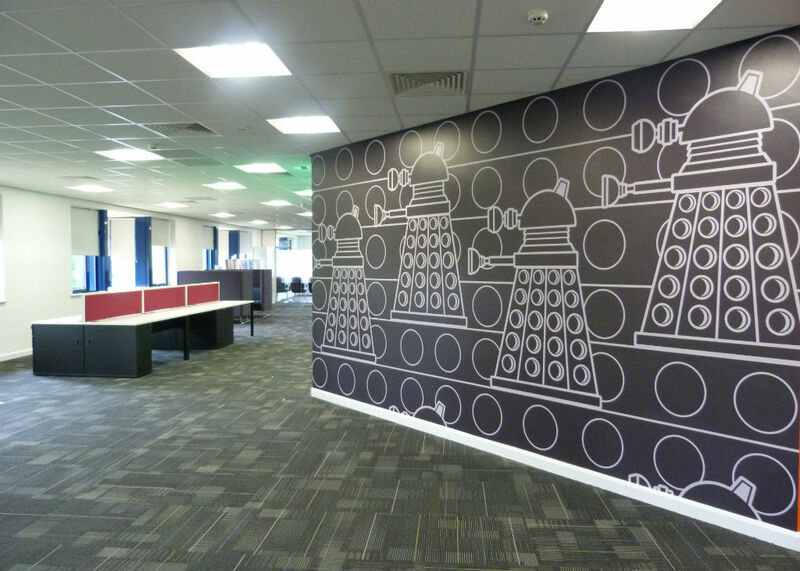 Finally, the wall art and red phone box really does add that funky style to the office that Inge and Patty wanted.